There aren't many of us who wish we were Cristiano Ronaldo. 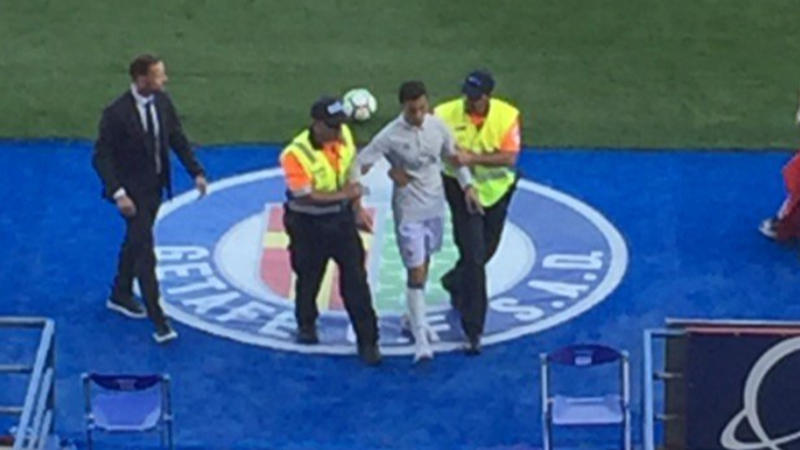 The looks, the body, the money, the footballing ability- possibly weird that football was last there- but actually dressing as him and trying to get on the pitch might be a step too far. 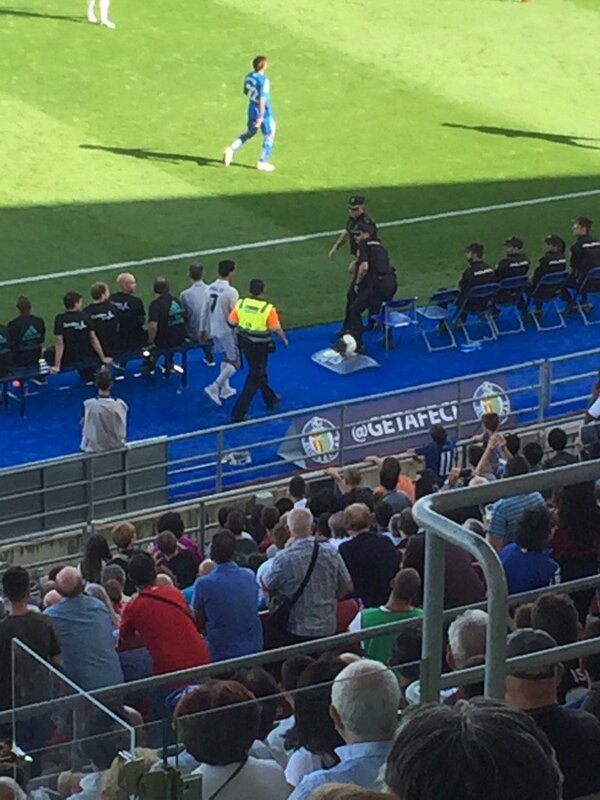 The imposter managed to get as far as the sidelines before being stopped by police, arrested and taken away.